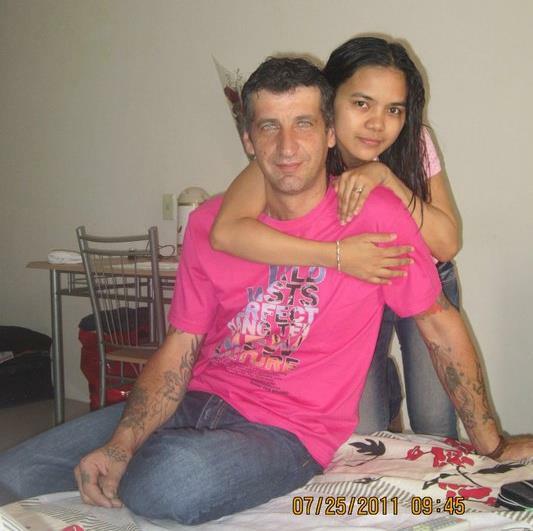 I have been asked a few times what does my Filipina wife think of me having Tattoos, and the answer is what are people talking about. Tattoos don’t change a person and if people judge others by their looks well they haven’t got much of a life have they, they live in the dark ages the Stone Age!, People have been getting tattooed for thousands of years. So it is about time people got on board with it and stopped being so judgmental. If you don’t want one, don’t get one. Who cares. I must say here all mine are pre 15 years ago. Tattoos can be used to cover scars and skin discoloration’s. Incredible parents get tattoos of baby sons, daughter’s, wife’s name or lost loved ones. It doesn’t change who you are as a person. Being tattooed doesn’t make you less intelligent, less compassionate, less friendly or more slutty. Here is my view. 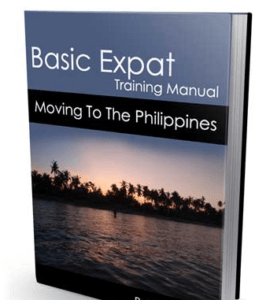 So, why does the average Filipino look somewhat –down–on a person who has tattoos as they seem to be available anywhere and everywhere to have done? One would think anything with stigmas attached would be hidden or even underground, for instance Cebu has more places to get Tattoos done than here in Melbourne Australia. Tattooing has been a part of Filipino life since pre-Hispanic colonization of the Philippine Islands, tattooing in the Philippines to some were a form of rank and accomplishments, some believed that tattoos had magical qualities. 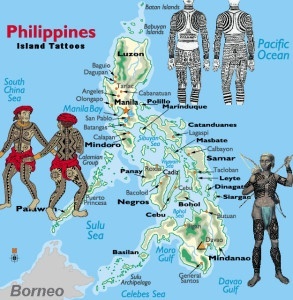 The more famous tattooed indigenous peoples of the Philippines where among the area up North Luzon, especially among the Bontoc Igorot, Kalinga, and Ifugao peoples. Tattoos were a sign of attractiveness. the pintados of western visayas adorned their bodies as symbols of strength, courage, or high status. This negative view has persisted to this day. But with the recent influence through high tech communication of western thoughts/culture and the use of tattoos by celebrities has made it more popular, becoming acceptable especially among the younger generation. Unfortunately for mommy dearest, however, it’s a fairly outdated notion. In today’s world, tattoos don’t make you unemployable. Indeed, some businesses have even begun to see the characteristic as a bonus of sorts. “We have no formal policy about tattoos because we value our differences and recognize that diversity and inclusion are good for our business and make our company stronger,” Bank of America spokeswoman Ferris Morrison told Forbes. Seems to me to be a crazy double standard attitude. We don’t like Tattoos–but hey, Tattoo parlors are a dime a dozen there. So for those that find Tattoos either offensive or dirty Google Tattoo artists in your city!